Glucosamine with Chondroitin: Do They Really Work? How familiar are you with Arthritis and its many forms? If you wonder how many forms are we talking about – the answer is over 100 forms! And do you know how common Arthritis is right now? The latest statistics show that from 2013 to 2016, approximately 22.7% of the adults in the United States have been diagnosed with some form of Arthritis, most commonly with Rheumatoid Arthritis and Osteoarthritis. Now we want to talk about Osteoarthritis. Luckily, there are many successful treatment plans being developed that can help decrease the common symptoms of Arthritis in general, although a cure that could remove every last symptom has not been discovered yet. And one of those treatment plans is the use of Glucosamine and Chondroitin as a dual treatment. But how familiar are you with this treatment? Maybe the doctor has already explained it to you but you are interested in finding out a little bit more about this topic. And this is where we come in. We will explain everything that you need to know about this commonly used dual treatment and its effects! Let’s start with sharing a few facts about Osteoarthritis so that we can review this topic! Osteoarthritis is among the most common forms of Arthritis affecting over 27 million adult Americans right now. It is a degenerative joint disease, meaning that it causes structural damages to your joints, affecting the cartilages, which have an important role in making sure that your joints can function with no problem. Because of Osteoarthritis, your cartilages break down causing the common symptoms of Osteoarthritis to occur. The common symptom includes pain, swelling and decreased motion of movement in the affected joint. Most commonly it is the bigger joints that are affecting – e.g. the hip, knee, and the lower back joints. Before we proceed to explain the effects of Glucosamine and Chondroitin for Osteoarthritis, we need to explain the basic facts known about these two components separately. Glucosamine is a natural compound found in our healthy cartilage, or in their fluid to be more specific. 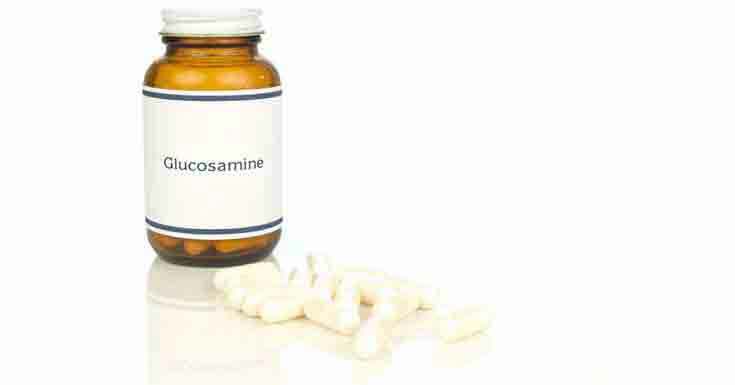 Why is Glucosamine so important, you ask? It is because its function to help build healthy cartilage once our cartilage is destroyed because of Osteoarthritis. For the purposes of being used as a treatment for Osteoarthritis it is normally harvested from the shells of shellfish but it can be also produced in the laboratory. When it comes to Glucosamine we are most interested in one of its many chemical forms – the Glucosamine Sulfate. Chondroitin is another natural compound that is found in our healthy cartilages and its function is to help retain water. As Glucosamine, Chondroitin is also harvested from animal cartilages or it can be produced in the laboratory. Again, we are most interested in Chondroitin Sulfate. This compound is commonly used as a treatment for Osteoarthritis, but in many centuries it is used alone, whereas in the United States it is used in a combination with Glucosamine. 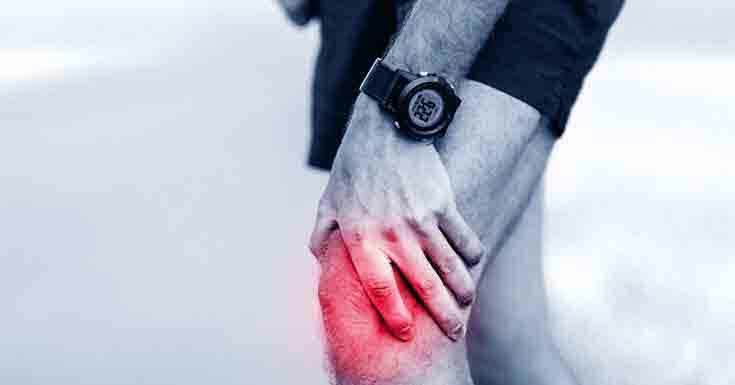 Now that we have shared the effects of Glucosamine and Chondroitin alone, let’s discuss how they are working combined to help us get some relief from the symptoms of Osteoarthritis. It is believed that not only does Chondroitin Sulfate helps our cartilages retain water but it also helps inhibit the enzymes which cause the destruction of the cartilages. And this combined with the effect of Glucosamine to help rebuilt the destroyed cartilages, promises a life with few to none Osteoarthritis symptoms. Does this Combination Really Work? Since this has been an interesting topic that has created different opinions among the doctors and researchers, there are a lot of studies that we need to talk about. One study published in the Journal of Clinical Interventions of Aging showed that this combination of Glucosamine and Chondroitin can only help by reducing the symptoms of patients who are suffering from moderate-to-severe knee Osteoarthritis after investigating their effects among these patients. However, when it comes to Osteoarthritis that has affected other joints besides the knee joint, these researchers are not so confident. Another study published in the International Journal of Rheumatology supported the theory that a combination of Glucosamine with Chondroitin and other nutrients such as some strong antioxidants can do the trick and inhibit a lot of the processes that are happening during the progress of the disease. It is believed that they can reduce the inflammation and by that reduce the swelling, decrease the pain and with time increase the range of motion in the affected joint. Another study caught our attention. 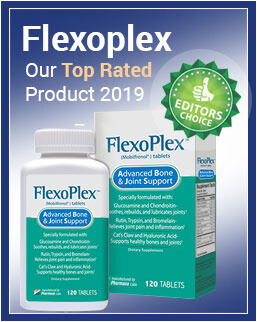 It was published in the Annals of the Rheumatic Disease after investigating the effects of Glucosamine and Chondroitin versus celecoxib, or the placebo effect in patients. This study showed that this combination caused grated improvements regarding the symptoms of the patients that were reassigned to it than to the patients who took the celecoxib. Apparently, this combination proved to cause reduced swelling, stiffness and improve the function of the affected joint. However, it took over 6 months for the results to show. We tend to be optimistic and believe the studies that we have read while investigating the topic. However, what we need to point out is the time that this combination actually takes to work – meaning for the first results in the form of improved symptoms to show. So if you are not ready to wait at least 6 months for the results, then maybe you should try to find another treatment plan more suitable to your condition. And, of course before trying anything please consult your doctor and get his/her professional opinion on the matter. You can check this Glucosamine Chondroitin Turmeric & MSM as joint relief supplement as it has the ingredients which are helpful to reduce the joint pain. Also See: What Is Osteoarthritis (OA)? The dual treatment involving Glucosamine and Chondroitin in our opinion is a successful one in cases where your Osteoarthritis is still in its early stages. Also, you should keep in mind that this combination, although a successful one, takes its time to show the first results. So if you decide to use it, then you should be ready to wait at least 6 months, according to one latest study done, for your symptoms to start wearing off. The good thing about this treatment is that you have the chance to choose between a natural form or a chemical, laboratory produced a form of it. And do not forget to get your doctor’s professional opinion on the matter without proceeding with any actions!